Ho Chi Minh City is one of Asia’s fastest-growing, most vibrant cities, and its gastro scene is no less exciting. 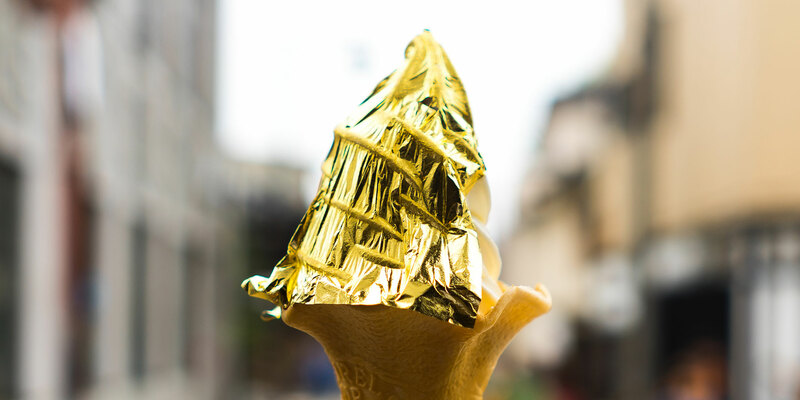 Joining the city’s famed street food dishes are increasingly sophisticated fine-dining offerings. 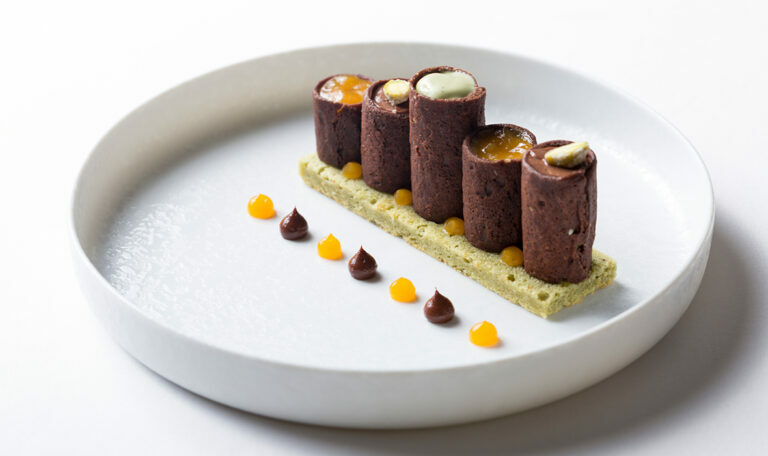 Whether its French gastronomy drawing on Saigon’s colonial heritage, or home-grown chefs putting their unique spin on local dishes, Ho Chi Minh City has an eclectic range of high-end restaurants paying homage to local roots and international influences. 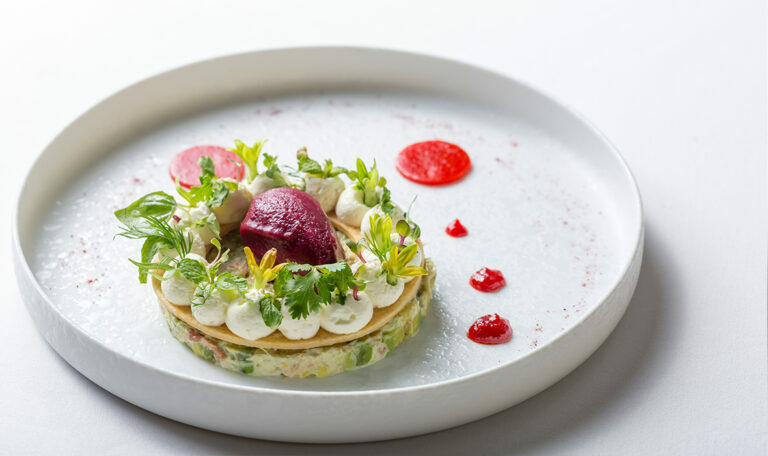 Michelin starred chefs Jacques and Laurent Pourcel recently added the plush Jardin des Sens to their growing list of internationally acclaimed restaurants. 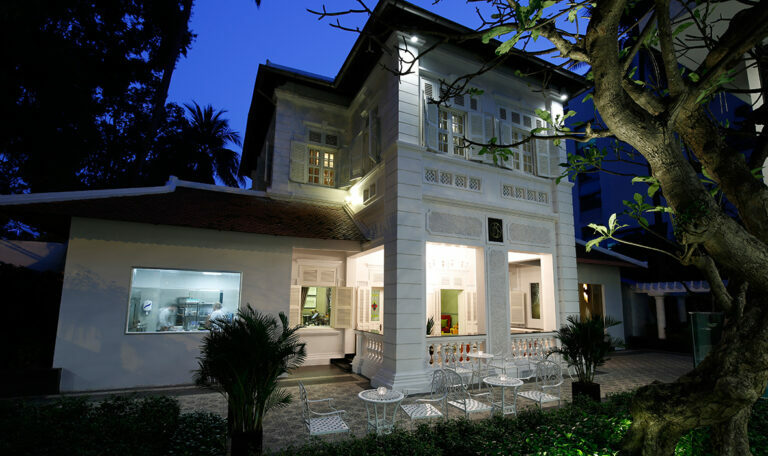 Intimately housed in a French-colonial era house, the Pourcel’s philosophy is to produce creative, playful dishes using premium products from the Mediterranean and Vietnam. 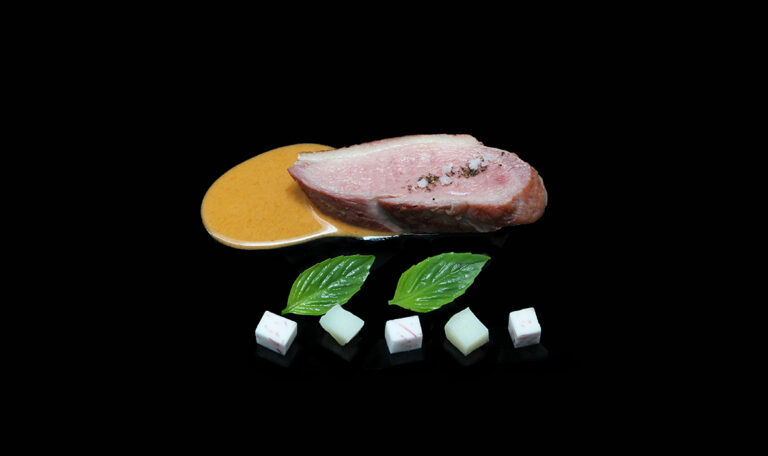 Rather than dishing up traditional French cuisine, the brothers describe their culinary concept as “cuisine of the sun,” using contrasting and unique flavors to unfold stories through their food. ABOVE: The Royal Pavilion at The Reverie. 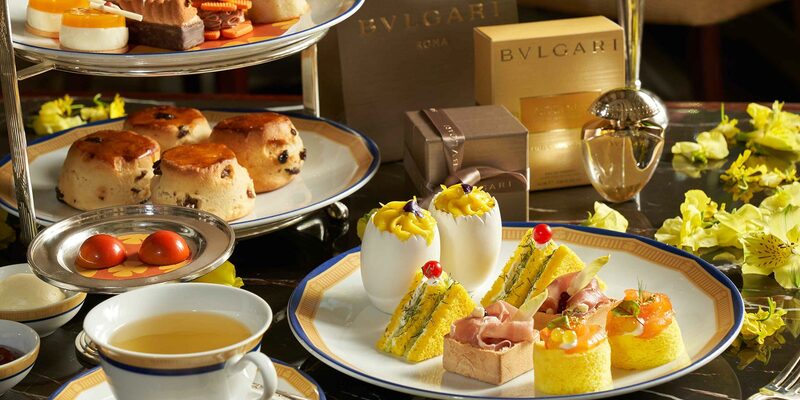 Best known for its delicious dim sum, The Royal Pavilion brings Chinese fine-dining to Ho Chi Minh City. 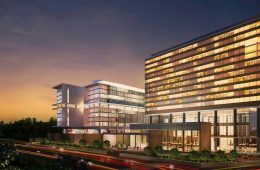 The restaurant is located within The Reverie Saigon – an palatial hotel in the heart of District 1 with opulent Italian design elements. 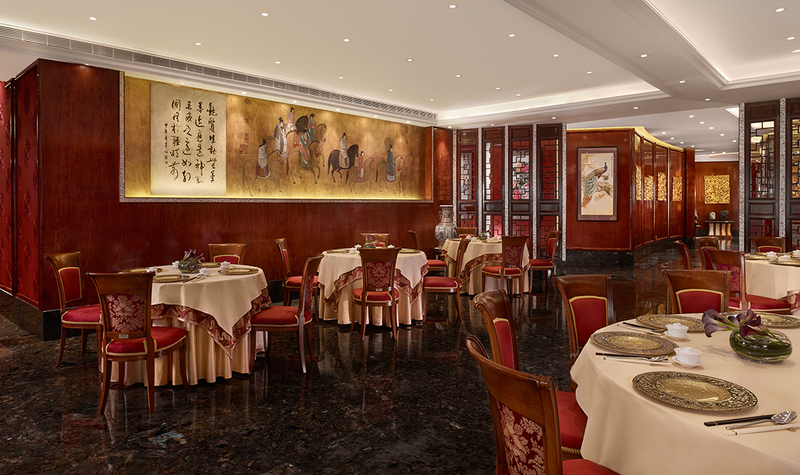 Dim sum classics, such as fluffy BBQ pork buns, and Cantonese delicacies, including the infamous bird’s nest soup, are elegantly served up in a glitzy setting, with no less than nine private dining rooms for larger groups and special occasions. ABOVE: The bar at Anan Saigon. 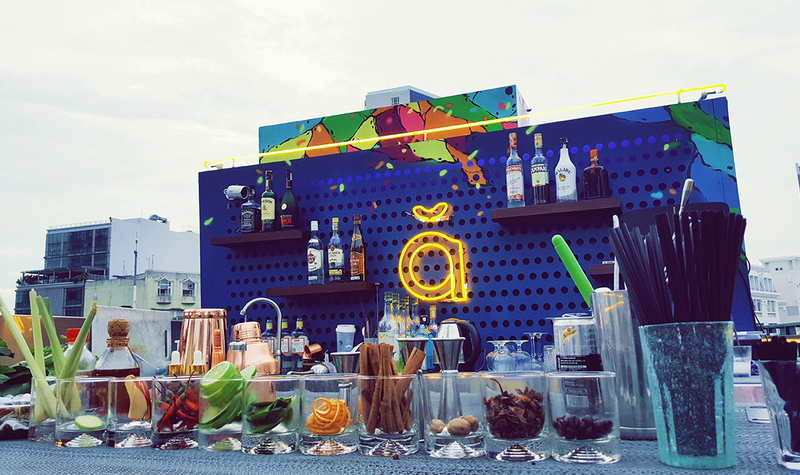 Located in a bustling wet market in the city center, Anan is Saigon’s hottest new rooftop bar and restaurant. 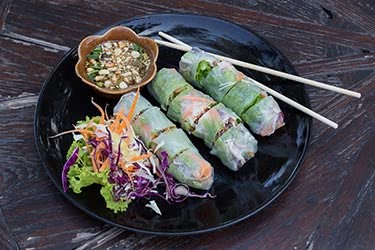 Award-winning chef, Peter Cuong Franklin, serves up street-food inspired dishes as part of his creative Vietnamese menu. ABOVE: Anan’s Mekong Delta elephant fish. Chef Franklin’s menu focuses on Southeast Asian flavors and market-fresh ingredients. 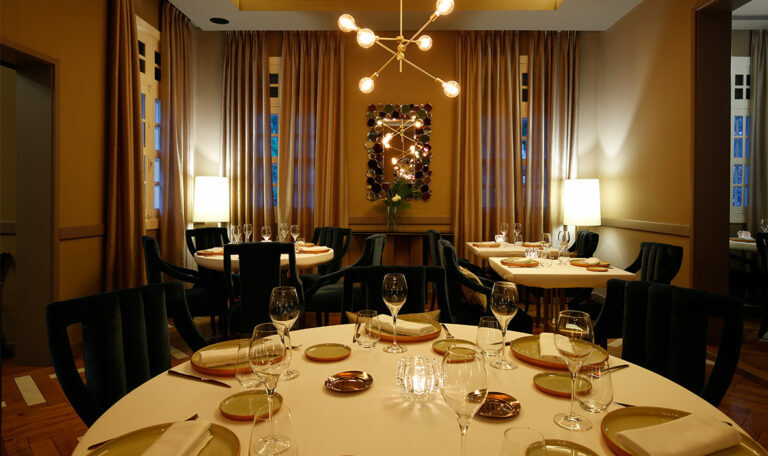 The dishes are designed for sharing, with several tasting menus to choose from, offering five to seven sharing plates, in addition to the main menu. Offering flavorful dishes such as Mekong Delta elephant fish and Saigon shaking beef, Anan’s pioneering approach links traditional Vietnamese cuisine with modern techniques and presentation. ABOVE: The $100 banh mi at Anan. 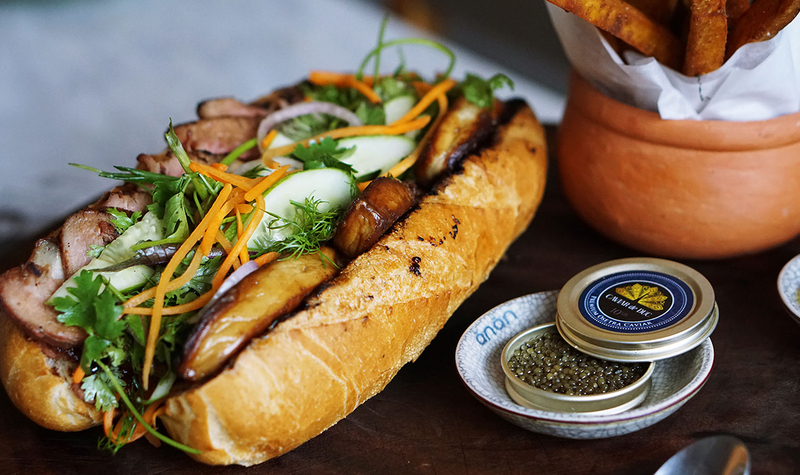 If you are feeling lavish, try the off-menu $100 banh mi – a twist on the classic Vietnamese sandwich with foie gras, black truffle mayonnaise, prosecco and Caviar de Duc. 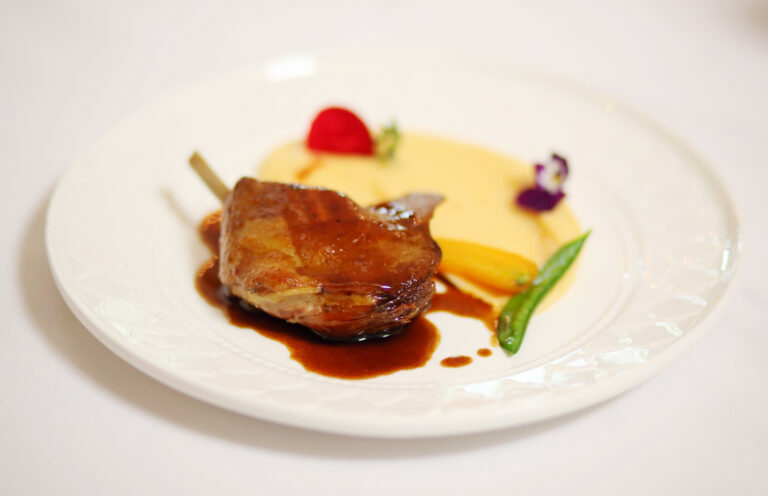 Situated in an elegant white colonial villa in the leafy backstreets of District 2, La Villa is quietly making waves in the fine-dining scene, with its refined French cuisine produced by Avignon-born, Chef Thierry. 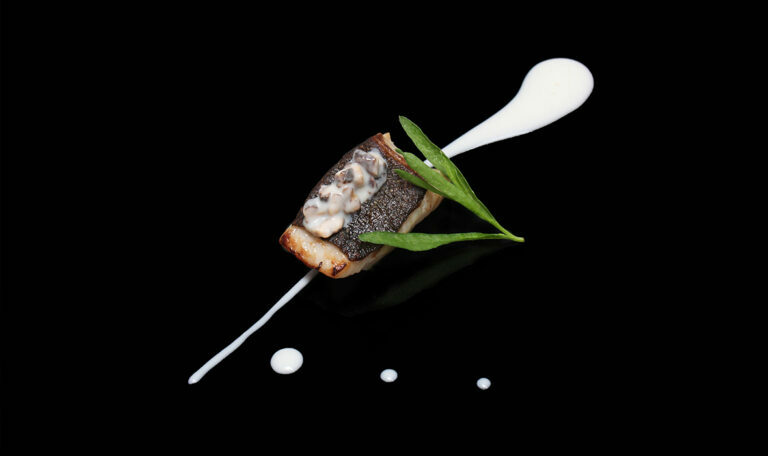 Chef Thierry meticulously executes his own creative take on French gastronomy, offering a range of menus, including dishes such as melt-in-the-mouth crab ravioles and filet de canette. The cheese trolley offers an impressive selection of French cheeses, homemade jams, and chutneys. The villa is situated in a lush garden with twinkling tables nestled around a small pool, making for a romantic dinner setting. 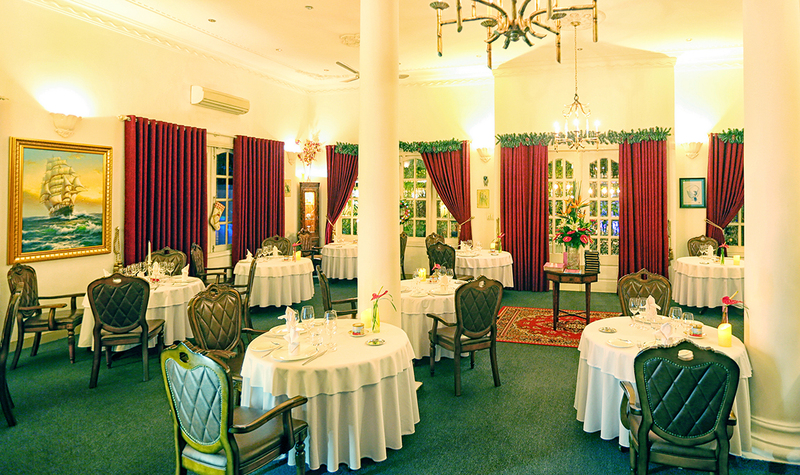 Inside the restaurant, guests are seated in a homey room with original colonial features and oil paintings adorning the walls. 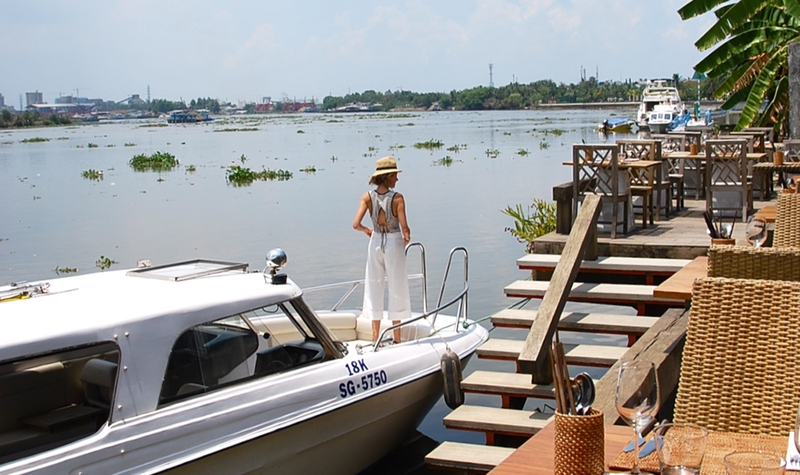 The Deck is the ultimate escape from Saigon’s hot and hectic energy. 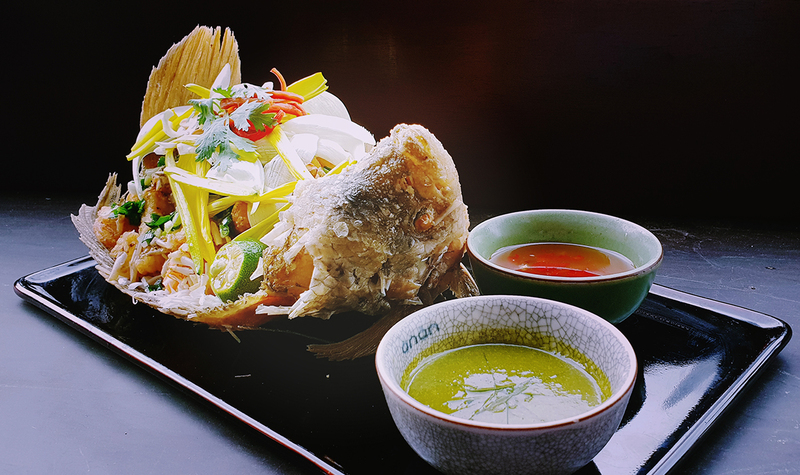 Located slightly outside the city centre, visitors can enjoy the restaurant’s pan-Asian menu on a serene and spacious wooden deck nestled along the banks of the Saigon River. 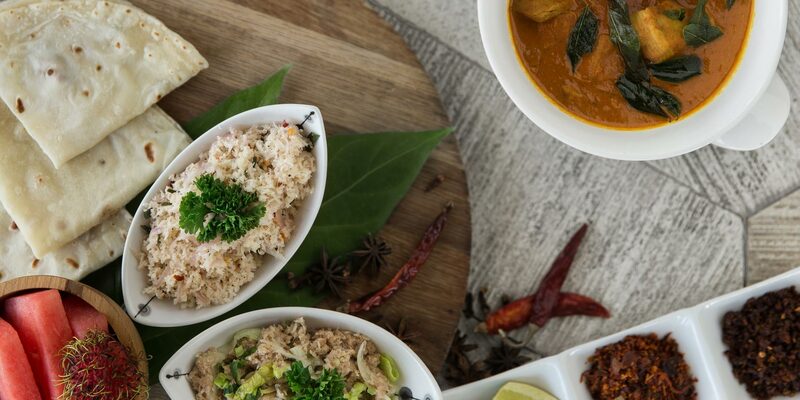 The restaurant is a firm favorite of well-heeled locals, expats and travelers, with its stylish al fresco vibe and beautifully-presented dishes. 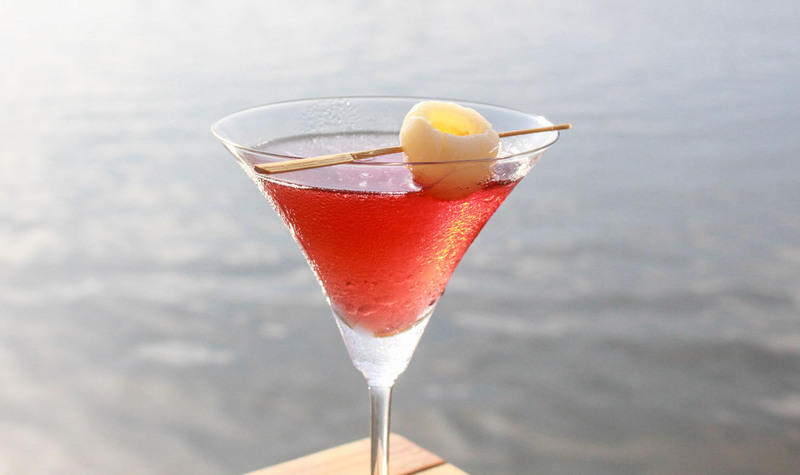 On weekends visitors can also try The Deck’s classic brunch menu and enjoy relaxed DJ sets while sipping on sunset cocktails. 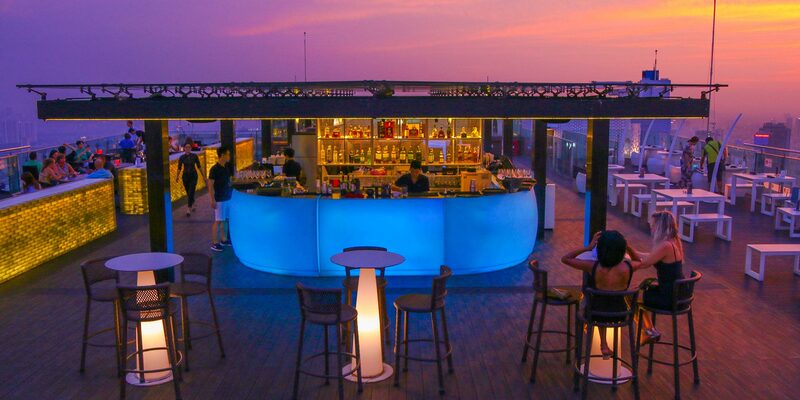 ABOVE: The Deck cocktail on the Saigon River. 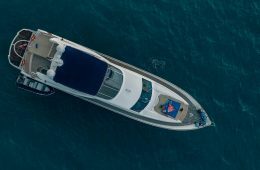 For travelers wanting to arrive in style, the restaurant will arrange for you to travel by private speedboat from District 1 – the cost of which includes a glass of prosecco as you hop off the boat. Noir is Saigon’s answer to the ‘dining in the dark’ concept, giving visitors the unique sensory and culinary experience of eating a meal in a pitch-black restaurant. 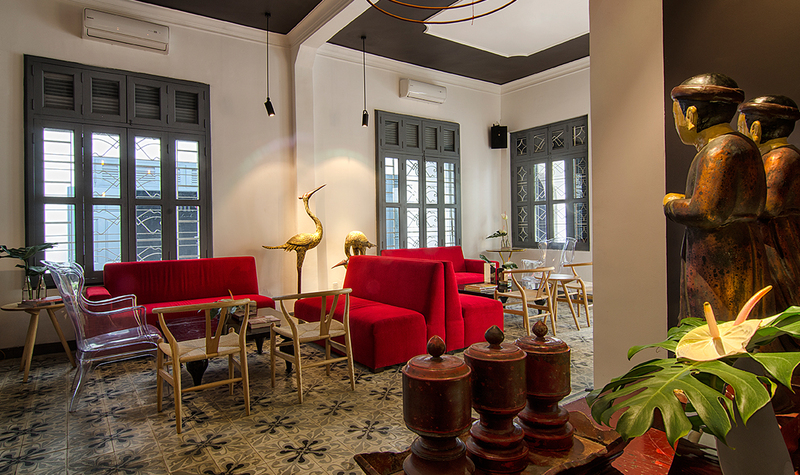 Located in central Saigon, the entrance room of the restaurant is welcoming and ambient, with a fusion of French and Asian decor. The charming staff, who suffer from visual impairment or blindness, helpfully guide guests through the experience. 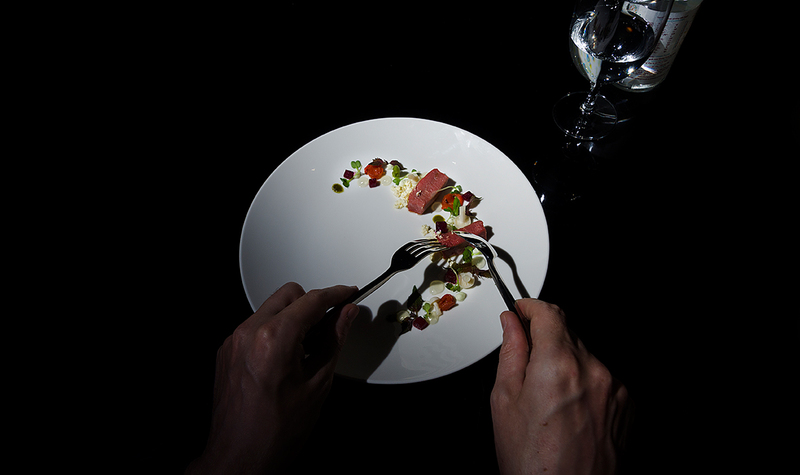 ABOVE: Noir dishes in the light. 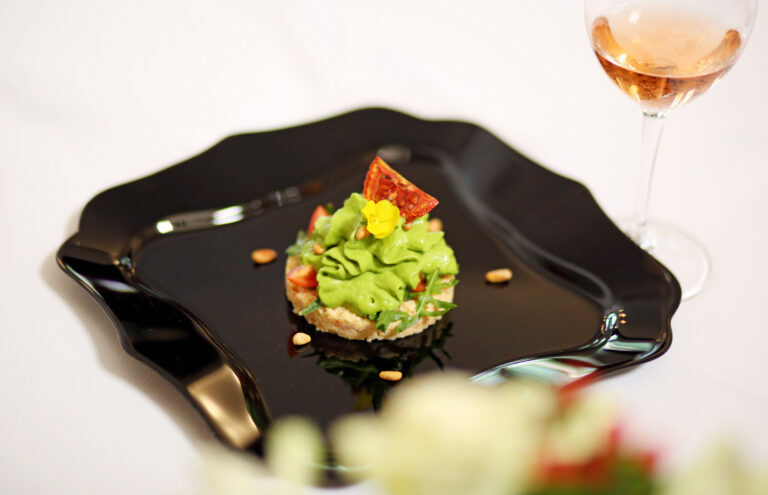 Noir’s chef, Ngo Thanh Tuan, creates Asian, Western, and vegetarian menus which play on the four available senses by using different flavors and textures. Everything on the menu is a surprise, which allows for entertaining discussions and speculation about the dishes. 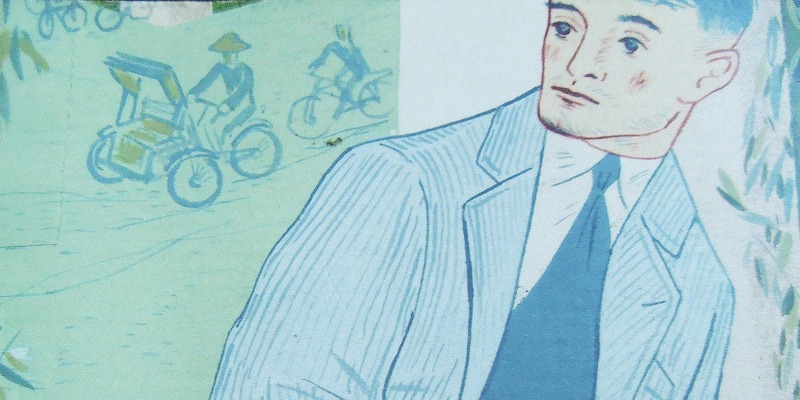 Lucie is an independent writer based in Ho Chi Minh City, Vietnam. She is the founder of Ho Chi Minx, a lifestyle blog about Saigon. 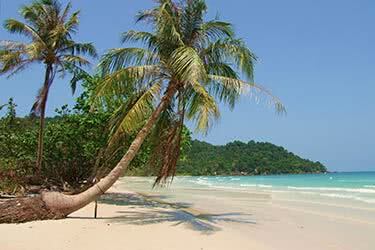 Lucie travels extensively around Asia and lived in both Hong Kong and Singapore before moving to Vietnam. 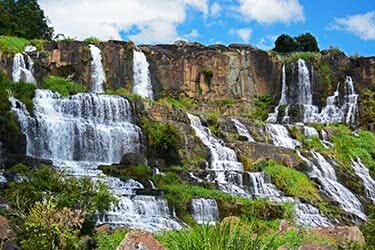 French-Asian fusion is a rare cultural find but comes to life in charming Dalat. Be a coffee connoisseur as you sample what has been named the world’s best coffee. 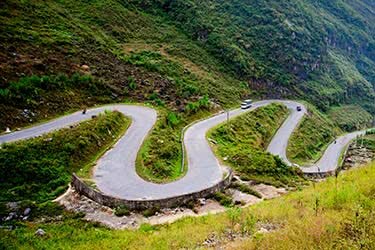 This 8-day luxurious Vietnam vacation takes you through both historical fortresses and stunning natural sites such as the Dray Nur Waterfalls and Dray Sap. 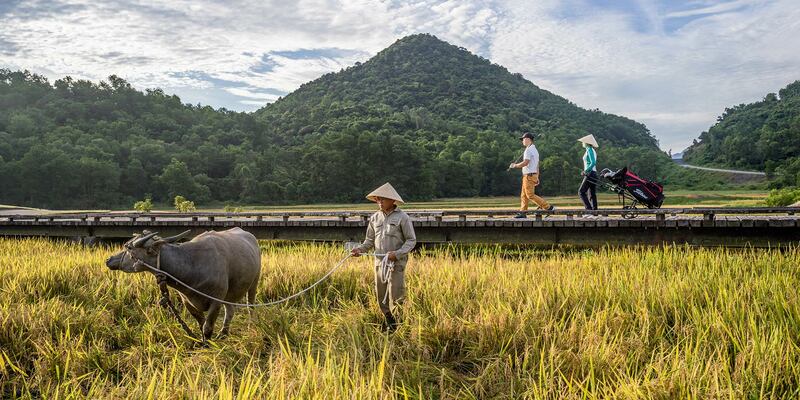 Delve into the taste sensations of fresh Vietnamese cuisine on this sensually-stimulating 14-day trip. 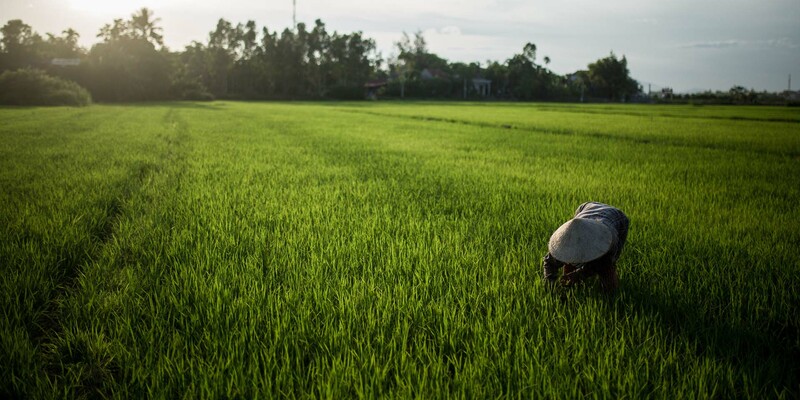 You’ll learn cooking secrets from a top chef, dine on freshly-caught seafood in Mui Ne, sample local favorites from fresh markets, and dine at some of Saigon’s top restaurants, while staying in Vietnam’s best hotels.